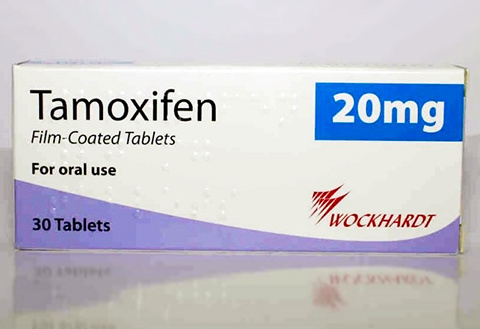 Tamoxifen is an anti-estrogen medication that has been used to treat some types of breast cancer for the last 30 years. It is taken by mouth. Also it has brand names Nolvadex, Tamfen, Cytotam, Tamoximed, Altamofen. Tamoxifen is used to reduce the risk of recurrence of estrogen-receptor positive breast cancers, to prevent the development of new cancers in the other breast, or to shrink a breast cancer tumor before surgery. Clinical trials are currently underway to study if tamoxifen could prevent breast cancer in women at high risk for developing the disease. Its main function is anti-estrogenic. Estrogen is a hormone that is a key contributor to a woman’s female characteristics, including menstruation and pregnancy. Unfortunately, most breast cancers use estrogen to grow (these are called Estrogen Receptor Positive [ER+] cancers). Tamoxifen fools the estrogen receptors on the tumor cells into thinking that it IS estrogen. By attaching to these receptors, they prevent real estrogen from attaching, and thereby interfere with the cancer cell’s ability to grow. There is some evidence that tamoxifen may lower the level of lipids (fats) in your blood; lipids are a major contributor to heart disease. 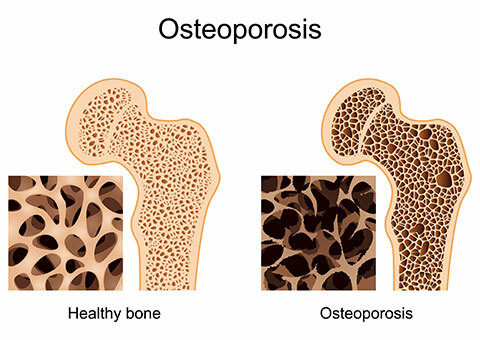 Tamoxifen may also help prevent bone loss and decrease your risk of osteoporosis, it helps in treatment of infertility, Riedel’s thyroiditis, Bipolar disorder, premature puberty, retroperitoneal fibrosis, gynecomastia. Tamoxifen is taken by mouth. The pill comes in a few different strengths and may be manufactured by different companies (so may have different names on the pill itself). A sugar-free syrup is also available for women who have trouble swallowing pills. Usually, your doctor will prescribe one dose per day; you should take it the same time each day. If the tamoxifen bothers your stomach or leaves a bad taste in your mouth, try taking it with food – it will not affect it actions. Currently, tamoxifen is commonly taken for five years (after surgery) – though your doctor may prescribe it for less, or even indefinitely. Tamoxifen may cause menopause-like symptoms if you are premenopausal. These include symptoms like hot flashes and night sweats. Nausea is another common side effect. Some women may also experience weight gain, irregular periods, or vaginal itching. Less common side effects include depression, fatigue, dizziness, headaches, visual problems (increased risk of cataracts), or voice changes. Some women taking tamoxifen for advanced breast cancer may experience what is called a “tumor flare”, which may cause too much calcium to build up in the blood (called hypercalcemia). You may have to be admitted to the hospital for a few days in order to get your calcium levels normalized. Symptoms of hypercalcemia include nausea, vomiting, and unusual thirst. Long term side effects: clinical studies have shown a small increase in the risk of endometrial cancer (cancer of the lining of the uterus) in post-menopausal women taking tamoxifen. Should you experience abnormal vaginal bleeding or pain in your lower abdomen, tell your doctor. Tamoxifen should not be taken by women who are pregnant. Also, tamoxifen may increase the effects of the oral anticoagulant Coumadin (Warfarin). Make sure to tell your doctor right away if you are taking anti-coagulant medication.